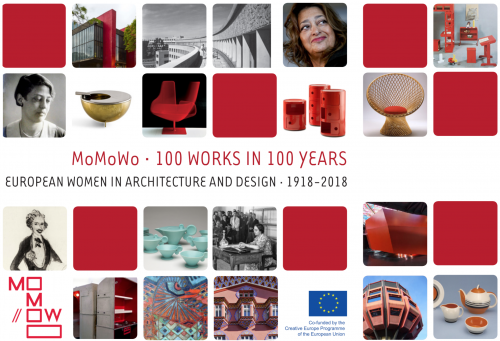 “MoMoWo – Women’s Creativity Since the Modern Movement is a large-scale cooperation project co-funded by the Creative Europe Programmewithin the Culture sub-programme. MoMoWo is an interdisciplinary non-profit project that contributes to create European added value, as expected by Creative Europe. From a pan-european and interdisciplinary perspective, MoMoWo considers women work within architecture, civil engineering, interior and industrial design professions of cultural and social relevance for contemporaneity. The project aims to share significant European Cultural Heritage forged by women working within the design professions, which has been to a significant extent “hidden from history”. The MoMoWo partnership brings together seven institutions that are complementary one to the other and representative of the variety of European cultures.